An anonymous poster is spreading around alleged descriptions of the inside of the Big Brother 12 house. We can’t verify yet if these details are true, but they certainly do fit the whole beach theme CBS is promoting for the new season. According to the anonymous postings, a wall has allegedly been removed in the Big Brother 12 house to leave only two bedrooms. The smaller bedroom reportedly looks like a beach with lounge chairs and an ocean mural. The larger bedroom allegedly mimics a summer camp cabin with bunk beds and a fake moose head on one wall. In addition, some of the sleeping spaces in the bedrooms are allegedly just beach towels in one room and a sleeping bag made for two in the other. There is reportedly a large fish tank between the living room and kitchen, with the kitchen decorated in a rustic cabin kind of feel. In the living room there are fake palm trees and a tropical mural, continuing the beach theme. The HOH room is reportedly the strangest room in the house, designed in a weird “creepy carnival theme” with a fortune telling machine and a giant tarantula in a tank. Now, considering all this comes from a totally anonymous source, we have no idea if any of it is accurate or not. Still, if even half of it is true, we’re very intrigued – especially by the fortune-telling machine and the empty casket! The new CBS Big Brother 12 website is also serving up full episodes of Big Brother 11 for those who might have missed out on any of the action. If you need even more Big Brother goodies to keep you occupied until the new season launches July 8, you can get an early jump on the Big Brother 12 Live Feeds with a SuperPass pre-season special discount. The live feeds don’t launch until the Big Brother 12 premiere day, but if you sign up now you’ll have instant access to interviews from Big Brother alumni from the Vegas Bash and Rainbow Reunion, along with clips and highlights from previous seasons to enjoy! Check out your 3-Day Risk Free Trial here! >> Previously: Big Brother 12 Live Feed Pre-Season Special Available Now! Big Brother 12 Live Feed Pre-Season Special Available Now! The Big Brother 12 Live Feed Early Bird Special Coupon is here at last! BigBrotherAccess.com is thrilled to bring you this special pre-season deal of $29.99 for the full season of Big Brother 12. That’s three months of live feed access from RealNetworks SuperPass for the price of two. This Early Bird Special for the Big Brother 12 Live Feed is only available until July 17, the day before the premiere of the new season. After that, the price goes back up to $39.99 for three months. Jump on the special now and you’ll basically get a whole month of BB 12 Live Feed access free. Or you can just sign up for a regular month-to-month Superpass subscription for $14.99 per month. Get a taste of the RealNetworks SuperPass when you sign up with a 3-day free trial. SuperPass subscribers can also watch tons of other great television shows and movies any time. Plus, subscribers also get $10.00 a month in free mp3 music downloads. Be sure to take advantage of those free music, because they basically make the whole Big Brother 12 Live Feed subscription almost kind of a freebie if you would normally be paying for those downloads. Are you ready to dive in and get your Big Brother 12 Live Feed action on? Check out your 3-Day Risk Free Trial here! Police allege that Casper was driving under the influence at high speed west of Springfield, Illinois on July 17 when she rear-ended an SUV driven by Zachary E. Barnes. Barnes then lost control of his vehicle, which ran into the median on Interstate 72 and flipped multiple times. A passenger in his car, Cameron S. Weider, was thrown from the vehicle and killed. Another passenger in Barnes’ car, Eric J. Finneran, exited the rolled-over SUV and was standing in the highway when another car swerved to avoid him. That car collided with another vehicle, causing a second wreck. A fifth car became involved in the pile-up when it pulled over to avoid those two vehicles, but struck Finneran as he was still standing in the highway. Finneran also died at the scene. Tonya Casper has been charged with reckless homicide in the death of Cameron S. Weider, the passenger in the SUV she hit who died after being ejected from the car. She is also charged with being responsible for the death of Eric J. Finneran because the initial crash allegedly began the serious of events that caused his death. Casper faces charges of two counts of aggravated reckless conduct, two counts of aggravated reckless driving and speeding in addition to the reckless homicide and DUI charges. Casper, known then by the name Tonya Paoni, was a houseguest on Big Brother 3 in 2002. She was the second contestant evicted from the show. >> Previously: Big Brother 12 Live Feed Early Bird Special – 3 Months for Price of 2! Just when you thought it was safe to walk away from the computer, CBS pulls a fast one on us. 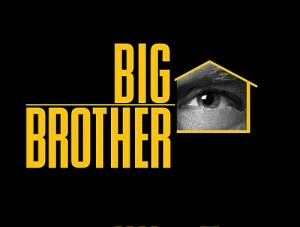 Today CBS released a brand new commercial for Big Brother 12 and the brand new Big Brother website. The new commercial is something we’ve never really seen in the past 11 seasons (check it out below). CBS has spent a little bit of dough and hired what looks like actors (slash pretty people) but could it be the new HG’s? Not likely. Probably actors. Let’s go with that. You can’t actually see the ‘houseguests’ in question, most of the shots are extreme close ups or a very blurred visual of them. If I’ve learned anything from covering Big Brother over the past eleven seasons, the commercials usually mean squat. It is, however, very interesting the way this commercial was created. Like I said above, nothing we’ve seen before. They also debut a new title graphic for the series… but again means nothing. The promo department at CBS usually does whatever they want while the Big Brother production team rarely has a say in it. Also on the super-duper-exciting front is that the new Big Brother 12 homepage at CBS.com launched today. It’s very CBS-like. The structure is very similar to the main CBS.com site but it’s a much nicer design. It’s got the beach theme we were talking about earlier. There’s no new information but it’s just another thing on the list that makes Big Brother super exciting every year!